It's our final week at CASE Study with Kathy Racoosin as our muse, I've really enjoyed this month! 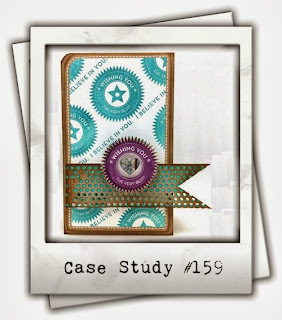 Take a look at Kathy's beautiful inspiration card this week! It's stunning! 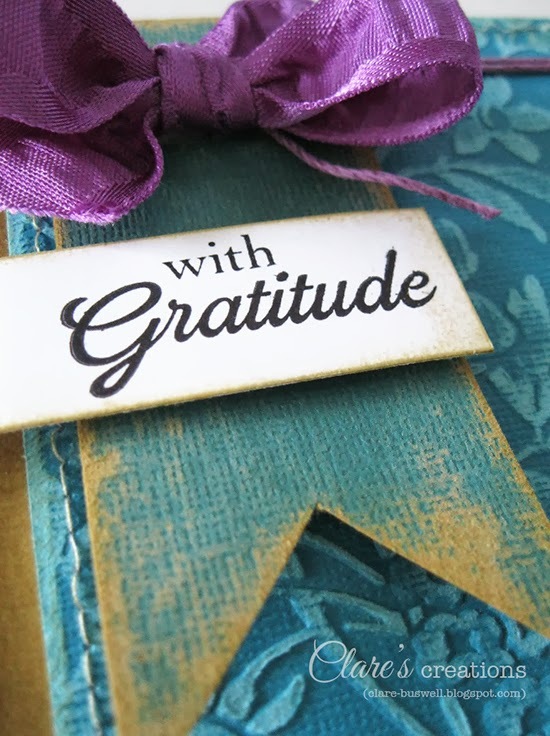 I really loved the fab color combo, distressing and v shaped pennant, so I CASEd these elements in my card. 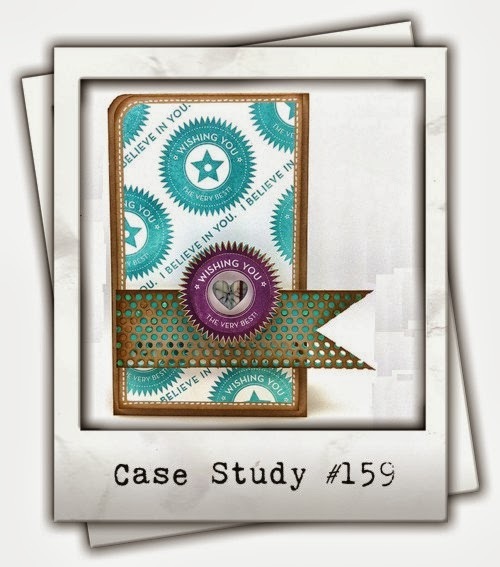 I used lots of Core'dinations ColorCore Cardstock, the embossed panel cardstock is from Core Essentials Brights and is embossed with one of my favorite Anna Griffin embossing folders - Wildflower Gate. The v shaped pennant is cut from some Tim Holtz Kraft-Core Nostalgic Collection and sanded with the Sand-It Gadget (I love Kraft-Core!). The sentiment is from Autumn Borders from The Craft's Meow. 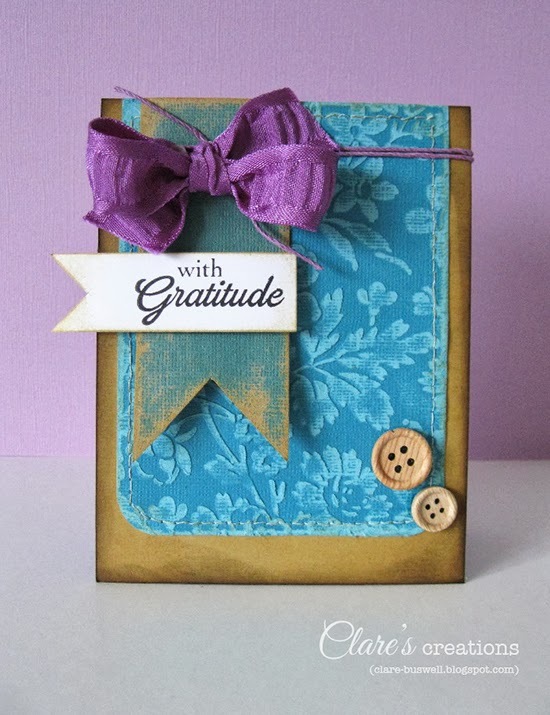 The edges of the Kraft base I inked with Antique Linen and Vintage Photo Distress Inks. That purple ribbon is from May Arts. This color combo has really grown on me and I'm not a huge fan of purple but I love how it looks with the turquoise and teal. I also added a couple of wooden buttons, they always go well with Kraft. Labels: Anna Griffin embossing folders., Autumn Borders, Core'dinations ColorCore Cardstock, Distress Inks., May Arts ribbon., The Craft's Meow. 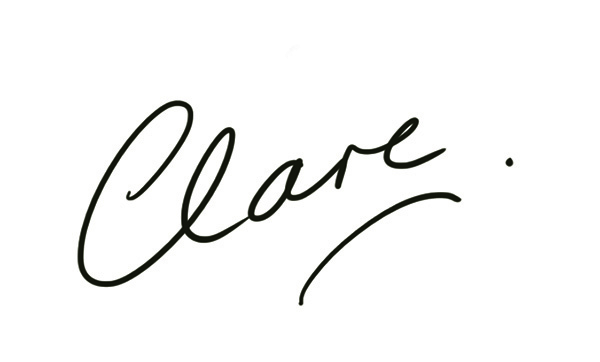 WOW, this is fabulous Clare! (as always) Your design is absolutely amazing, love the distressed look! I love everything Clare! 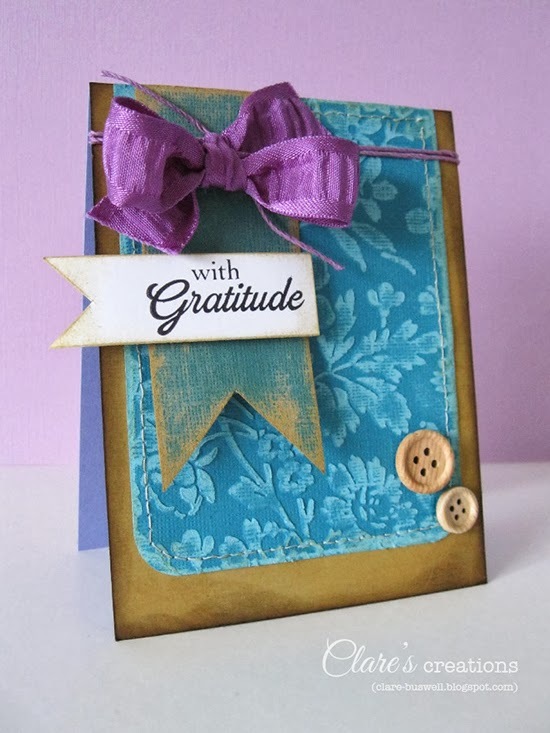 The bow is gorgeous and the distressing and I love these colours with the kraft! What an amazing color combination, stunning!